What's so Important About Austria Hungary? A Serbian nationalist in Sarajevo killed the Archduke Franz Ferdinand of Austria-Hungary and his wife Sophie. Austria Hungary was outraged! Austria sent a list of demands to Serbia that said "you most do this or we will declare war!". Serbia agreed to some of the things but asked for negotiation on some. 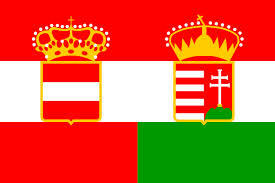 Austria said no we are not negotiating and Austria declared war on Serbia. After Austria declared war they called on their allies Germany. Serbia went to Russia because of there religious ties. And that is how the war started. 1. an infectious and often fatal bacterial disease of the small intestine, typically contracted from infected water supplies and causing severe vomiting and diarrhea. 2. an intermittent and remitted fever caused by a protozoan parasite that invades the red blood cells. The parasite is transmitted by mosquitoes in many tropical and subtropical regions. 3. a contagious bacterial infection of the eye in which there is inflamed granulation on the inner surface of the lids.